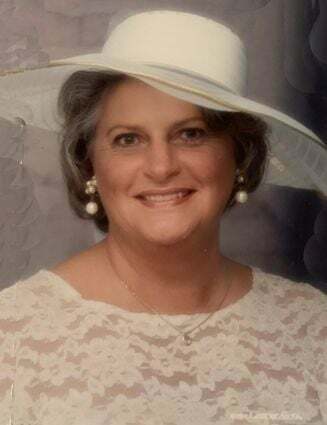 Barb Rassbach, 72, of Menomonie passed away peacefully Sunday, Feb. 3, 2019. She was in her home surrounded by her family and loved ones. Barbara Ann Weber was born Jan. 12, 1947, in Elmwood, Wis., to Philip and Margaret (Weisenbeck) Weber. She grew up on the family farm and graduated from Elmwood High School. On Sept. 17, 1966, Barb married the love of her life, Kelly Rassbach. Barb and Kelly loved traveling and new adventures. They spent their winters in Puerto Vallarta and loved their summer family trips to Canada. When they weren’t traveling, Barb enjoyed reading, gardening, playing cards and spending time with family. These last few years, she cherished simple time sitting in her chair, holding her husband’s hand, and watching the wildlife and river through her living room window. Barb is survived by her husband, Kelly; three children, Becky (Jason) Truax, John (Michelle) Rassbach, Stephanie (Kurt) Kazmarek; 12 grandchildren, Jacob (Jacci), Katelyn (Matt), Amber (Ben), Trevor, Allyson (Derek), Nicole, Madison, Mikayla, Jason, Becca, Kaleb and Kody; seven great-grandchildren, Jordan, Joslyn, Aubrey, Addie, Jonah, Scarlett and Henley; siblings, Joyce (Lester) Hines, Mary Webb, Margie (Jim) Carter, Tom (Sharon) Weber, Leon Weber and Dave (Christine) Weber; sisters-in-law, Myrna Weber, Jane Weber, Marlene Weber, Margie Stroud, Dianne (Dean) Hussey; several nieces, nephews and other relatives and friends. Barb is preceded in death by her parents; brothers, Phil, Delbert, Pat, Dan and Roger; sisters, Elaine Thompson and Carol Wittig; sisters-in-law, Elaine and Shirley; brothers-in-law, Lon Thompson, Jack Wittig and Morse Webb. Special thank you to the nurses, doctors and staff at the Mayo Cancer Center, Menomonie Outpatient and Mayo Clinic Home Health and Hospice for the amazing care they provided. A gathering in Barbara’s memory will be held from noon to 3 p.m. Saturday, Feb. 9, at Olson Funeral Home in Menomonie. Memorials can be made to St. Jude’s Children’s Hospital or the Dunn County Humane Society in Barb’s memory.